How do we make city? In partnership with AIR, the architecture centre in Rotterdam, the International Architecture Biennale Rotterdam (IABR) is organizing five lectures on the theme ‘Making City’. ‘How do we make city?’ That is the central question of the 5th IABR, entitledMaking City. It is also a call to everyone — governments, policy-makers, politicians, designersand the public — to set to work on the city with enthusiasm. Participants from over35 cities around the world will gather in Rotterdam in April 2012 at the invitation of the IABR. Together with projects initiated by the IABR, their plans and projects will feature in the main exhibitionMaking City at the Netherlands Architecture Institute (NAI). In the run-up to that event, representatives of the cities will meet one another this autumn in Rotterdam during closed ‘Urban Meetings’. On the evening before each Urban Meeting the IABR, in partnership with AIR, will hold a public lecture in the Dépendance, Schieblock, Rotterdam. We are currently witnessing one of the biggest changes in the history of mankind. A revolution is taking place almost imperceptibly, the force and scale of which is unprecedented: urbanization. In just a few decades almost 80% of mankind will live in cities. More than 90% of our wealth will be generated there. And all that on less than 3% of the earth’s surface. Urbanization is inevitable, and that is precisely why it offers opportunities for a future in which millions of people enjoy a good balance between prosperity and environment, between economy and ecology. But those opportunities will only present themselves if the city is managed better, designed better, organized better, and planned better than it is at the moment. Dates: 13 and 27 September; 11 and 18 October; 8 November. Now that the world is urbanizing at a rapid pace, the importance of cities is steadily increasing. While the economy used to function at a national scale, the city is now the place where money is largely made. By way of an introduction to the central theme of the 5th IABR, Making City, Rients Dijkstra talks about the changing relation between the city and the economy. Bordeaux is a city in development. Over the coming decades the city will only continue to grow as a result, amongst other things, of the construction of the TGV rail link. To cater for this growth, 50,000 new homes will be built in the near future within reach of public transport. This ambition makes it patently clear that the development of Bordeaux needs to be addressed at the level of the metropolis. The project ‘50,000 new homes for Bordeaux’ brings together the usually separate worlds of politics, private sector and executive parties in constructive alliances. In the process, the current strategies and models of spatial production are redefined. The High Line is an elevated 1.6-km-long park, located in the western part of downtown Manhattan in New York. The attractiveness of the design in combination with changes to the planning system made the project appeal to private investors. The non-profit organization ‘Friends of the High Line’ took the initiative for the High Line project in 1999. This citizens’ initiative was later adopted and implemented by the New York City Planning Department. Already a legendary pilot project, the scheme demonstrates how an initiative that springs from the community can kindle the enthusiasm of various parties and result in a high-quality urban, public space. The Eurometropolis Lille-Kortrijk-Tournai is made up of 147 French and Belgian municipalities. This alliance of towns is the first 'European Grouping for Territorial Cooperation (EGTC)’ recognized by the EU. This transnational area is home to 2,000,000 inhabitants and is located in the centre of Europe, in the heart of the triangle formed by London, Paris and Brussels. The Eurometropolis is a consultative body that works together to support and promote cross-border, supranational and interregional cooperation. It crosses cultural, political and administrative borders and, in the process, exploits the existing diversity as a force with the aim of positioning this central European territory on an international scale. The mission of the l'Établissement Public de Gestion de la Défense is to plan and oversee the new urban development of the 560-hectare area called La Défense Seine Arche. Owing to its central position in the west of Paris, the area is being developed to connect the individual projects in surrounding areas to one another. In reality, however, the various works of infrastructure in the area turn it into a patchwork of isolated tracts of land. At the same time, this produces a unique and recognizable topography. The most important objective of the project is to define a vision for the area’s development that takes into account the unique characteristics of the area whilst exploiting the connecting potential and strategic position of the area to the full. The International Architecture Biennale Rotterdam (IABR) is a major festival staged once every two years in Rotterdam. But the IABR is much more than that. 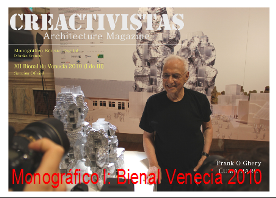 It is active throughout the year as an international platform for architecture. The IABR believes that architecture can contribute to providing solutions for the way in which we live together. It therefore links knowledge, ideas, people and urban problems at home and abroad to one another. Before the event starts, hundreds of designers, planners and public officials from all over the world conduct research and share their expertise. That occurs largely behind closed doors, but sometimes this research is made visible in the form of lectures, debates, publications or films, often made in partnership with other parties. 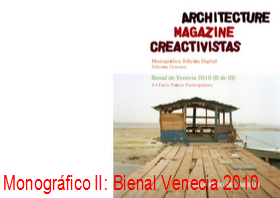 For this lecture series the IABR has teamed up with AIR. As the architecture centre of Rotterdam, the AIR has a mission to enhance our understanding of the quality of architecture in the city and region. The lecture series will therefore have a clear link with Rotterdam. The 5th IABR: Making City opens on 19 April 2012.